Flexibound, 7 x 9 in. / 496 pgs / 300 color / 300 duotone. Essays by Victor Muñoz and Ruben Ortiz. 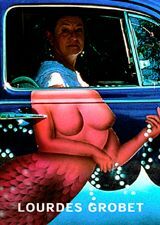 One of Mexico's leading contemporary artists, Lourdes Grobet is a photographer who, for the past 20 years, has set her camera lens to look at Mexican popular culture, from female wrestling to northern emigration, from neo-Mayan architecture to Cuban immigration. Beyond photography, she has also tackled architecture, installation art and graphic design, collaborating with numerous institutions in Mexico and abroad to realize her projects. Throughout her long career, she has sometimes been associated with the Fluxus movement, and has had a great influence on the younger generations of Mexican artists, including Gabriel Orozco and Ruben Ortiz. Some of the institutions with which she has worked include the Museo de Arte Moderno of Mexico City, Museo Carrillo Gil, Museo Nacional de Arte, Museo de Bellas Artes, Museo Esteudio Diego Rivera, Fondo de Cultura Economica editorial, and Secretaria de Educacion Publica, among others. 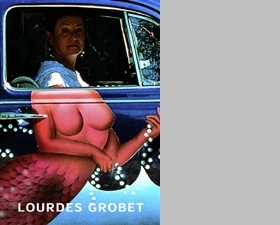 Grobet's work has been exhibited both individually and in group shows in the United States, England, France, Holland, Sweden, Venezuela, Brazil and Mexico. FORMAT: Flexibound, 7 x 9 in. / 496 pgs / 300 color / 300 duotone.